Allscripts files a protest against New York City’s hospital system after losing a $303 million contract to Epic. Allscripts claims that its solution would be $700 million cheaper over 15 years than the $1.4 billion total cost to implement Epic. The president of the Health and Hospitals Corporation, which runs the city’s 11 public hospitals, said Allscripts’ coast analysis was false and unrealistic and the selection of Epic came after four years of consideration and analysis of nine different vendors. From Nasty Parts: “Costco. Word on street is that Costco is going to file a lawsuit against Allscripts over the whole MyWay fiasco. 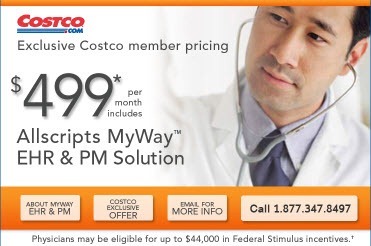 Costco is sitting on a good number of licenses that are not moving, especially with the recent news.” eTransmedia, the Allscripts reseller that owns the Costco relationship, declined to comment. 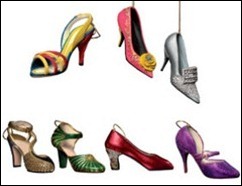 May you have the ability to happily wear your shoes high, proud and with padded insoles where necessary! The best gift will be Mr. H’s return, since this job is not nearly as fun without him. Though not necessarily birthday related, I will note that several readers asked for that perfect margarita recipe. Alas, I am still waiting for the cabana boy applications. This week on HIStalk Practice: athenahealth integrates Entrada voice services into its EHR. Women’s preventative healthcare improves when providers use EHRs. Doximity grows to 100,000 verified members. Miami Children’s Hospital selects CareCloud for RCM. BetterDoctor launches its doctor-connect app nationwide. If you are still looking to give me the perfect birthday, let me make it easy on you: take a moment to sign up for the HIStalk Practice email updates and click on a few of the sponsors’ ads to learn more about their offerings. Thanks for reading. TELUS Health acquires KinLogix, a cloud-based EMR provider headquartered in Quebec. HealthTech Holdings acquires perioperative solutions provider Acuitec. HealthTech will integrate Acuitec’s VPIMS solution into the HMS EMR. Investment bank Berkery Noyes reports a year-to-date 19 percent increase in healthcare and pharma IT M&A activity compared to 2011. The Norwegian Directorate of Health awards Accenture a five-year contract to build and implement Norway’s EHR system. OhioHealth contracts with Health Care DataWorks, Inc. for its KnowledgeEdge Enterprise Data Warehouse. Partners HealthCare (MA) extends its contract for MedeAnalytics’ Revenue Cycle Intelligence solution for an additional three years. Day Kimball Healthcare (CT) will implement SCI Solutions’ Schedule Maximizer and Order Facilitator for it employed and affiliated physicians. University Physician Associates of New Jersey signs a five-year contract renewal with MedAptus for its Professional Charge Capture software. Tenet Healthcare names Paul T. Browne (Trinity Health) CIO, succeeding the retiring Stephen F. Brown. Country Villa Health Services (CA) will be the first organization to implement the AHRQ On-Time Avoidable Nursing Home Transfer Module from HealthMEDX. Mt. Ascutney Hospital and Health Center (VT) implements Cerner Millennium EMR under the management of The Huntzinger Management Group. Continuum Health Partners deploys Caradigm eHealth solutions, including the eHealth Community Desktop clinical portal and the eHealth Information Exchange. The EHR/HIE Interoperability Workgroup, the NYeC, and Healtheway establish a testing program to certify EHRs and other HIT for the reliable transfer of data within and across organizations and state boundaries. CCHIT will perform the testing. Kinergy Health’s MyKinergy wins the Patient Engagement Blue Button Challenge, sponsored by the ONC and The Advisory Board Company, and is awarded the $25,000 grand prize. Other finalists winning $5,000 each include Humetrix, TrialX, Jardogs, and mHealthCoach. About 284,000 Medicare patients who are potential victims of identity theft are facing difficulties getting healthcare benefits because the government won’t issue new IDs. Medicare officials claim it’s too expensive and too many agencies are involved to reissue the cards. Medicare’s policy to block hospital reimbursements for certain preventable, hospital-acquired infections has not significantly changed the rates of two types of infection. Cerner will embed Nuance’s cloud-based medical voice recognition technology into its mobile EHR products including PowerChart Touch. Cerner is also integrating Nuance’s PowerScribe 360 radiology reporting product with Cerner’s RadNet RIS. 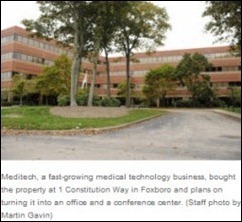 Meditech purchases a 26-acre office and conference center in Foxboro, MA for $19.8 million. 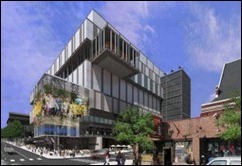 The site, which will undergo renovations over the next year, will eventually employ 500 workers. Impact Advisors releases its 2014 ONC EHR Standards and Certification Criteria primer. EBSCO Publishing announces the availability of the Health Economic Evaluation Database, which provides comparative analysis of of medicines for health economists. HIStalk sponsors earning a spot on the 2012 Best Places to Work in Healthcare list include: Aspen Advisors, Divurgent, Encore Health Resources, ESD, Hayes Management Consulting, Iatric Systems, Impact Advisors, Imprivata, Intellect Resources, Intelligent InSites, maxIT Healthcare, Santa Rosa Consulting, and The Advisory Board. Surgical Information Systems releases its SIS Surgery Dashboard, which displays real-time current case statuses on mobile devices. Elsevier recognizes four “Superheroes of Nursing” at this week’s ANCC Magnet Conference. University Physician Associates of New Jersey renews its charge capture contract with MedAptus. EBSCO Publishing releases its Applied Science & Technology Source resource to facilitate the research needs applied sciences and computing users. CommVault announces the integration of its Simpana 9 data and information management platform with Microsoft’s Cloud OS, including Windows Server 2012, Hyper-V, and Windows Azure. MedHOK is named a finalist for the Tampa Bay Technology Forum Emerging Technology Company of the Year Award. TeleTracking Technologies offers a three-part Webinar on reducing hospital costs through automated asset management. Another acronym bites the dust: ONC announces that the Nationwide Health Information Network (NwHIN) Exchange is now eHealth Exchange. Nonprofit Healtheway assumes operational support. Now that 2012 is almost over, CMS has announced distribution of ePrescribing program incentives and PQRS payments from 2011. Accompanying feedback reports, manuals for interpreting the data, and guides for understanding incentive payments are available on CMS’s Quality Net portal. Don’t spend all that money in one place, folks. An apple a day: Inga shared this article that suggests doctors practice healthy behaviors more often than other workers in the US. I’m glad they didn’t report on doctors who have become administrators or IT staffers. I was definitely healthier when I was running around a practice as opposed to sitting in endless meetings. I think I’m going to have to start adding “stand and stretch” to my time-boxed agendas if I want to avoid getting a blood clot from immobility. Speaking of health, I went for my physical today so I can scuba dive again. As I sat in the waiting room, my phone buzzed and it was an email from the receptionist inviting me to enroll in the practice’s patient portal and fill out my introductory health questionnaire. It’s always fun to see these things actually work in a practice. Now we’ll just have to see how long it takes before my clinical summary is available. 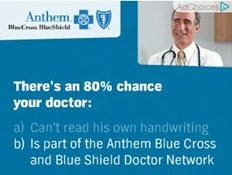 Jeers to Anthem BlueCross BlueShield who continues to recycle tired old jokes about physician handwriting. If they want something fresh and modern to pick on, let’s try poor typing skills. I wasn’t able to attend Health 2.0 although I enjoyed reading the reflections by Dr. Travis on HIStalk Mobile. I was glad to hear that Extormity made a with their strategic plan to acquire every application developer in attendance. Today is my BFF’s birthday, so if you haven’t done so already please take a moment to send Inga your congratulations. I hope her day is full of sassy shoes and adoring fans. The tone of comments you post on this site is almost scary. Sometimes I wonder if I’m reading a Fox News site. As the public lynching of Allscripts and other companies who have “missteps” continues, does anyone even care that HHC is a government agency, is completely broke and after an “11-vendor” process actually chose to potentially spend 1.4 billion dollars in which they are surely to go over? I would guarantee that no other vendor, including Allscripts, was anywhere near that figure. Either this site is full of Democrat readers or as usual, many miss the big picture. Something is wrong if HHC reaches the same conclusion that the bulk of other hospital systems are reaching? Namely that Epic’s functionality is far better than Allscripts, and is worth the price. I don’t know if it is or it isn’t…but clearly it is not crazy to want to buy a system that appears better to so many other buyers. And I am confused…does this make me a Fox News watcher? A Democrat? Both? (I think that is an oxymoron, isn’t it?…or perhaps you would say, “no, just a moron”). Well stated, Lynch. Honestly I am losing some faith in HISTalk. Beyond the bias that has been creeping into quite a few articles, the page load times make it annoying to just visit the site. I am sure it has nothing to do with the 169 advertisements on the home page. Yes, I am sad… I counted them all. [From Mr H] You are correct – the ads have nothing to do with page load time. They load last, after the full text of the posts themselves, so you are not waiting on them at all to start reading. Uh, as a current HIT CIO, now I really have no interest in ever considering Allscripts. You mean that if they don’t like the decision we reach, they’ll sue us?!? Did anybody consider that purchasing an EHR isn’t simply a financial decision? @Lynch – This isn’t Allscripts being lynched, this is Allscripts jumping off a bridge because they didn’t get the girl. Your bias for Epic grows more by the day on this blog. One single blurb/link of the Cerner Health Conference, while during Epic’s user conference this site was covered with screen caps of user tweets, featured commentary from participants, numerous pictures and even embedded videos. Change the name to EpicTalk and just be done with it. [From Mr H] As I said last week on HIStalk, I’m out of the country on vacation (slow Internet included) and Inga is trying to cover in my absence despite conflicts of her own, so nobody’s out looking for tweets of any kind this week. I’ll also say that so far, having taken a quick look at e-mail, nobody has send anything about CHC as opposed to the many e-mails from Epic UGM with pictures, video links, and comments. @Lynch, I’m confused. If you’re reading a Fox News site, why would the site be full of Democrat readers? I’m not clear on how liking Epic makes anyone a Democrat? As a later item in this very article references, government contracts attract a lot of “hey no fair” lawsuits. This blog isn’t any more Epic biased than the industry itself. If you don’t like the coverage on product X, why not contribute something yourself? It’s pretty clear how this deal went down – functionality and true integration won out over price. 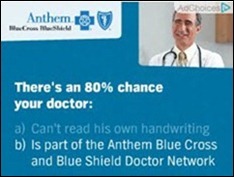 Epic was able to clearly demonstrate this while Allscripts is still fumbling with Eclipsys. Time is money, right? 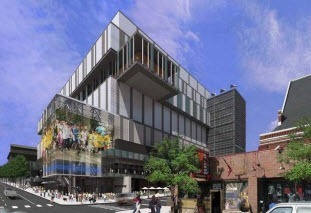 How much time is going to be saved by NYC implementing a truly connected system – something that Allscripts frequently talks about – but has yet to demonstrate on a large scale. As I said a week ro so ago…if EPIC an make NYCHHC fly without a blown install and getting sued – more power to them. NYCHHC contracts can be a real bear. For all you EPIC haters out there – look on the bright side…this could be the deal that ends the Epic lemming march. 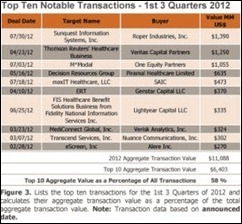 Allscripts is a merger, accusition, marketing company in healthcare IT. 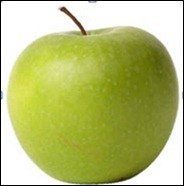 Epic is a software development company in healthcare IT. In this ever changing industry I am going with a company that develops their own software as I won’t have to replace. If you don’t have time to do it right when will you get time to do over. 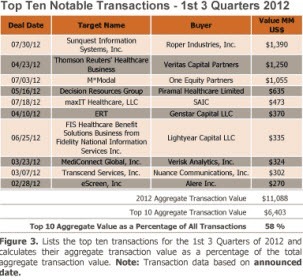 Allscripts lost on its home turf. Allscripts lied about maintenance cost- their products highly configurable aka consultant friendly. The truth however is somewhere in between because Epic is usually at least twice as much up front and while not as configurable requires more analysts. lack of flexibility which they see I believe as stability. As someone who has helped out on Epic sales in the past, I know that the $1.4 billion number includes a lot of expenses that are not going directly to Epic. That is usually a total budget for the the install. Epic encourages customers to include a budget for their internal staff, consultants, probable hardware needs, training, etc., in an effort to calculate a true cost of purchasing and implementing the software. The $700 million cost for Allscripts may only be the cost of the software. So this is not necessarily an apples-to-apples comparison. When all of the other costs are included, Epic tends to be much more competitive cost-wise than the article indicates. Does Epic go over budget? Sometimes. Usually, those are due to changes in scope by the customer, and Epic documents that they discussed the change in scope with the customer, and what the affect will be on the budget. If the customer still wants to move forward with the change in scope, they amend the budget and timeline appropriately and work from that new budget and timeline moving forward. When I was involved, making sure customers were on time and on budget was very important to Epic. Posters above showing passion for one leading EHR vendor or another … the thread appears like a fight over which deck chair is better on the Titanic. All acute and the vast majority of the ambulatory systems were built to optimize billing without regard to cost, quality, patient safety and clinical usability as system properties – not designed for the clinical excellence that will be required in a transformed health (which none of them know how to deal with) and health care system. They weren’t good solutions in the rear view mirror, there is no chance that they will be able to step up to value-based purchasing, personalized genomic driven medicine, real-time data driven moment of care (physical or virtual) decision-support, etc. that is beginning to drive an accelerating health delivery transformation. The future is not EHR-centric (they can’t possibly handle everything required in the future) but rather an ecosystem where stakeholders create portfolios of loosely coupled capabilities from multiple innovative vendors. If you looking for where this market is going, look at the incredible successful IPO of ‘Workday” this week. The CEO who had previously founded PeopleSoft was bullied into a hostile takeover by Oracle, where the innovation dried up immediately. When asked on the Bloomberg West TV show this week if he could have made the transition to the new wave of technology over the last 10 years if he was still running PeopleSoft, he said no because of the innovator’s dilemma (See Clayton Christensen). He added that you have to start with a blank sheet of paper and take advantage of the new technology without compromising it with existing product and other organizational baggage. At best, this is the path forward for these archaic EHR vendors and their archaic technology-based systems – history says that eventually they will all likely fade away to various degrees. This thread and many others like it will show up in HIStalk’s time capsule in five years where we look back and wonder why we did not focus on the forest and avoid getting scars from getting so close to the trees that we are rubbing our faces bloody on the tree bark. To summarize Back To Future…We become the victims of our own success. The reason why those old legacy systems are ‘business transactional’ oriented is because that is the way the money came in. You can blame the feds and insurance companies for that. To be fair commercial industry, which many say is way ahead of healthcare in IT, also built billing transactional systems first. Much later did they get to CRM, Production control, etc. If and when the feds and insurance companies change their payment mechanisms (such as to P4P) then you will see big changes in healthcare IT emphasis. You can see that already with the ARRA MU program. Use govt prescribed ethnicity codes, check a box, get a check! Put a dollar sign in front of it and watch the mice run the maze. So the real question is: Will the health IT that taxpayers are investing billions in ultimately support or retard/block efforts to transform healthcare from its current siloed, transactional, provider-centric dysfunction to something more coordinated, accountable and patient-centric? The taxpayers of NYC deserve an accounting of why $1.4 billion in installing new computer systems that are only slightly better than the ones already being run are more important than $1.4 billion in infrastructure improvements, new staff, and outreach programs. 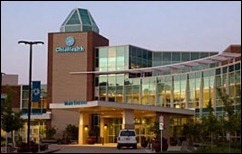 Has anyone ever been to a city hospital there besides Bellevue? You wouldn’t send your dog to some of those places. Epic isn’t going to help that system get new patients, improve its billing, or become more efficient, no matter what their models say.